This is a quick post. I would like to enter these two tag cards into the Hero Arts Holiday challenge, the category Tag it. One of the conditions for the challenge is that the card has to have a tag. 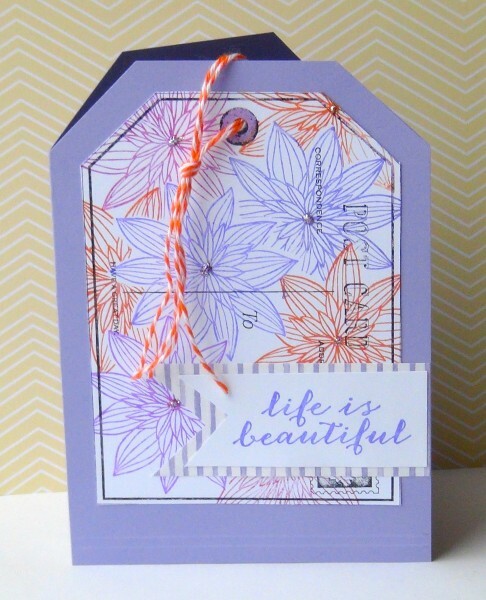 I like how easy it is to make a card with the Big Post card stamp. 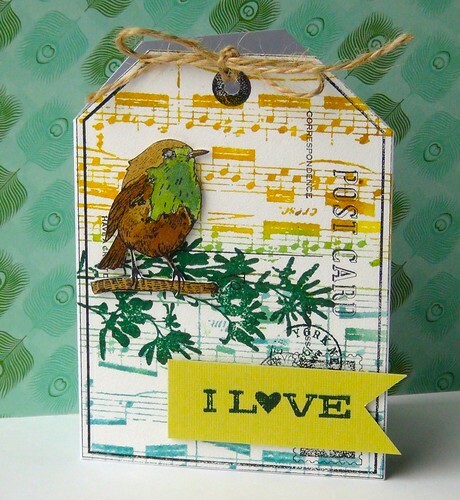 I have stamped and colored lots of cute birds with Distress inks, water and Perfect Pearls, so I have them on hand when I have time for more cards. The Music Background seems to be a perfect match for the bird. The sentiment is part of I ♡ books set. The branch is from Cherish cling. I also added some postal marks from Carte Postale. The second card is my attempt at masking technique. The beautiful stamp is called Night Flower. The centers are embellished with Ice Stickles (Strawberry ice). The sentiment is from Cherish cling set. All stamps are Hero Arts.